He was born in 1951 in the city of Zernograd in the Rostov region. In 1976 he graduated from the Rostov Art College. M.B. Grekova. Since 1976 he has participated in republican, all-Union and international exhibitions. Member of the International and domestic cartoon contests. 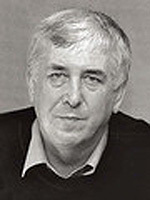 Laureate of international prizes in Turkey, Japan, Italy. Works in various genres of graphics, cartoons and hot enamels. He was awarded a diploma of the Russian Academy of Arts. 1988 – diploma of Turkey. Member of the Union of Artists of Russia since 1989. Member of the Correspondent of the Russian Academy of Arts from 2011.